With eye shadow*: Tap brush in colour, and use short sweeping motions to apply from the outer edge of the upper lashline, inward. Repeat with lower lashline, if desired. 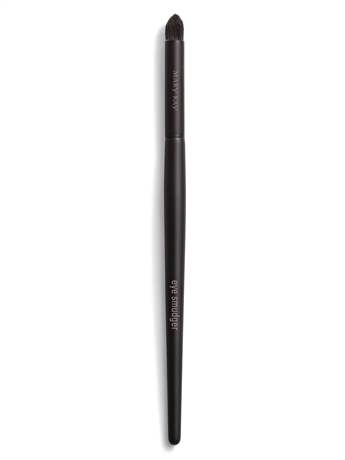 Brush also can be used to highlight at the inner corner of the eye. With eyeliner*: Use short strokes to softly smudge eyeliner and achieve a smoky effect. This brush also can be used to help apply lip colour precisely and evenly. To create an attention-grabbing backdrop for lashes, use the pointed tip of the Eye Smudger Brush to sweep a light shade or a pop of colour directly along the upper lashline.